Over the course of the last year, the developers and OEMs have been working on other ways to control the screen aside from actually touching it. For some, it’s using floating touch to hover your finger above the screen without touching it. Now, recently an app called IntelliCover was released; it takes it in another direction by using the proximity sensor. It allows the users to control various actions on the screen using the phone’s proximity sensor. The best part of this IntelliCover app is it supports all types of phones and tablets and it doesn’t mind whether it is rooted or unrooted. It is absolutely available at no cost. This app consumes the minimal power. 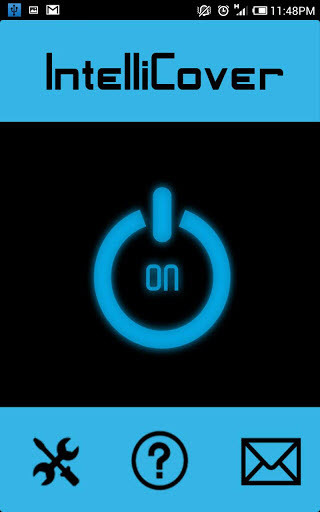 Further, this app allows you to set the events to be triggered when the screen turn ON or OFF. For example, by setting Wi-Fi to turn on when your screen turns on and setting it to turn off when the screen turns off, by using this app you could save a huge amount of battery power. Add a delay to the time takes to trigger the sensor and turn the screen off. Disable the proximity sensor when an application is in landscape mode. It show the home screen when the screens turns on. The screen will Turn OFF but not ON when the proximity sensor is triggered. The screen will Turn ON but not OFF when the proximity sensor is triggered. 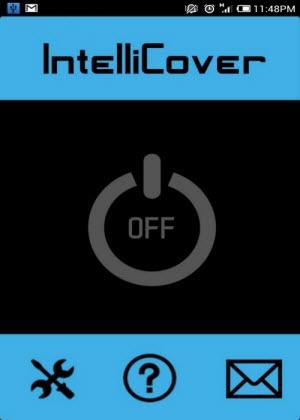 Automatically start the IntelliCover service when the device Turns ON. Vibrate every time the proximity sensor is triggered. Show an ongoing notification in the status bar. Switch ringer mode to Normal (Sound with vibration), Vibrate or Silent. So, if you are into experimenting to touch the alternatives, then this is definitely an app to check out.